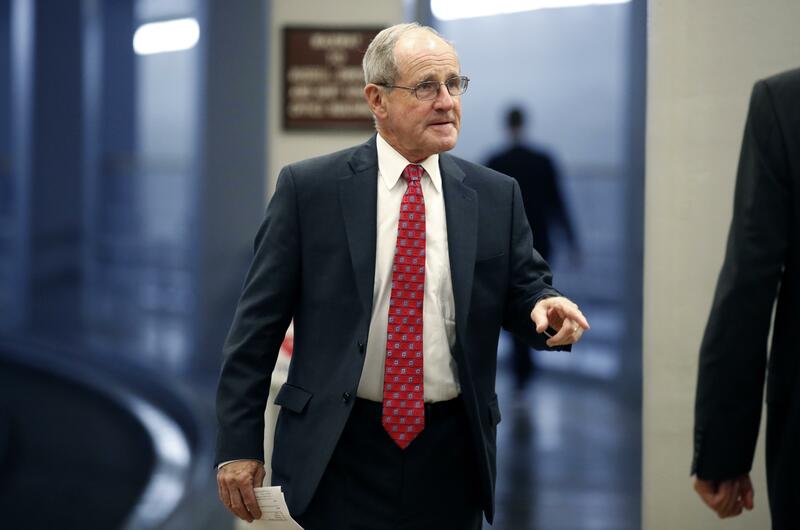 The Senate Energy and Natural Resources Committee, on which U.S. Sen. Jim Risch, R-Idaho, serves, held a hearing last week on the upcoming wildfire season, but Risch didn’t show up. During the fire season hearing, committee Chair Lisa Murkowski, R-Alaska, said, “It doesn’t look good.” Committee members peppered Vicki Christiansen, interim chief of the U.S. Forest Service, and Jeff Rupert, director of the Office of Wildland Fire for the U.S. Department of Interior, with questions about firefighting plans, management, resources and more. Christiansen told the senators, “Above-average wildfire activity appears to be our new normal.” This year, 11 Western states, including Idaho, are forecast to see above-average wildfire. Christiansen praised the “fire funding fix” Congress enacted this year to end so-called “fire borrowing,” which for years forced land management agencies to dip into their prevention funds to cover soaring firefighting costs, leaving prevention unaddressed. “It’s our time to deliver and we are making steady progress,” she said. Rupert told the panel “2018 is shaping up to be another challenging year.” The cumulative effects of drought, invasive species and higher temperatures are driving big, destructive fires, he said. Risch, who serves on the Senate Foreign Relations Committee, offered a full-throated defense of President Donald Trump in a national interview with National Public Radio on Thursday along with tough talk for America’s European allies on Iran, and said he believes the looming summit between Trump and North Korea’s Kim Jong Un has the potential to bring far more progress than the Obama administration was able to make on the Iran nuclear deal. When NPR’s Rachel Martin asked Risch what evidence there is that Trump is the personality who can bring Kim around, Risch retorted, “I think first of all that’s part of the issue: There’s a tremendous hate and vitriol against President Trump from the other side in this town. “This hate and vitriol is such that they criticize everything he does, no matter what. They’re looking for ways to put a negative spin on what’s happened,” Risch said. “It’s hard to do that. This thing has been a series of positive steps. Has there been a few speed bumps? Yes. But this, nobody has been able to do this before. Martin noted that European leaders have been scrambling to try to save the Iran deal, and sent a letter to top U.S. administration officials asking for exemption from sanctions so they can keep doing business with Iran. “Are you concerned about losing the support of America’s closest allies at such a delicate time?” she asked Risch. He pooh-poohed that idea. “Well look, they parade in here every day,” he said. “They’re our friends, they’re our allies. Sometimes friends and allies have a disagreement. … If they want to do business with Iran, they’re absolutely free to do that. Betsy Z. Russell is the Boise bureau chief and state Capitol reporter for the Idaho Press-Tribune and Adams Publishing Group. Follow her on Twitter at @BetsyZRussell.